Dr Suzanne Scafe is a Reader in Caribbean and Post-colonial Literature in the Department of Culture, Writing and Performance. She has published published several journal articles, book chapters and edited collections that focus on black British writing and culture and Caribbean women's fiction. Her most recent work includes essays on black British women's autobiographical writing, and the Caribbean short story. She was invited to be a member of the Steering Group for the Women's Liberation Project, funded by the Leverhulme Trust; she is a member of the advisory group of the continuation project, based at Sussex University. As a result of her interest in autobiography and oral histories, she has worked with the Heritage Lottery funded Black Cultural Archives on their project to collect black women's oral histories. The project is entitled 'The Heart of a Race' reflecting the title of the publication, 'The Heart of the Race: Black Women's Lives in Britain' (1985), co-authored by Beverley Bryan, Stella Dadzie and Suzanne Scafe. Suzanne Scafe is a member of the editorial collective of the journal Feminist Review (Palgrave, Macmillan) and The Journal of the Short Story (Intellect). She has presented at several international conferences including the ACLA Conference, Vancouver (2011), Contemporary Women's Writing Network Conference, University of San Diego, July 7-9 2010, and The International Short Story Conference (Arkansas, 2013). 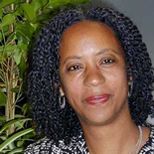 Suzanne is also a member of the African-Caribbean Women’s Mobility and Self-fashioning in Post-diaspora Contexts Network (Post-diaspora Network), which consists of twelve scholars from the UK, North America and the Caribbean, who are investigating how globalisation might work for African-Caribbean women migrants.